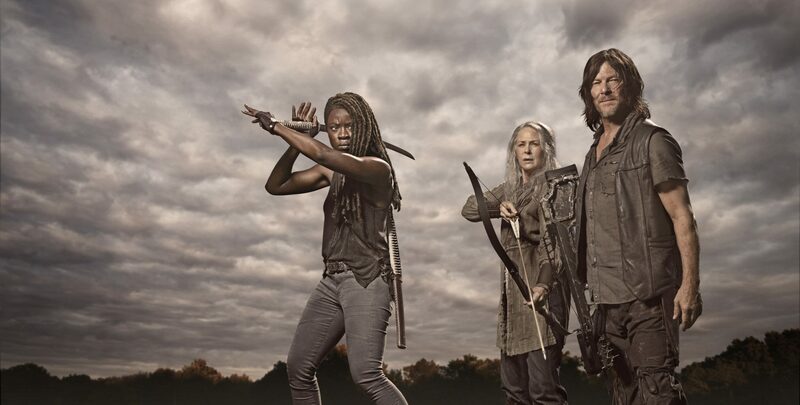 NATPE Miami (January 22, 2018) – At the NATPE Miami international content market and conference today, Parrot Analytics, the leading global TV analytics firm, announced that The Walking Dead was the most in-demand TV series in the world for 2018. The announcement was made during the inaugural Global TV Demand Awards. The Walking Dead cast members Josh McDermitt and Pollyanna McIntosh and producer Denise Huth were on hand to accept the award. In addition to the Most In-Demand Show in the World, Parrot Analytics also revealed that the Most In-Demand Digital Original Series in the World for 2018 was Stranger Things (Netflix). The Global TV Demand Award winners were determined using Parrot Analytics’ global audience demand measurement system, the TV industry’s only system capable of measuring how much a TV series is wanted in 100+ markets around the world, across all platforms. The company captures over 1 billion new data points each day across the consumer activity spectrum, including video consumption (streaming and downloads), social media engagement (hashtags, liking, sharing) and research actions (reading about shows, writing about shows, etc.). Parrot Analytics’ Demand Rank system ensures that the important demand signals are weighted more heavily than others using factors such as time as key arbitrators, enabling the company to filter out ‘noise’ and arrive at a demand metric that is more than a measure of ‘buzz’ which the industry has had access to via traditional social listening. The more consumer effort required, the more importance is attached to each signal. Once all the signals are weighted and combined, the audience demand for each show anywhere in the world can be compared with that of any other show using Parrot Analytics’ globally standardized Demand Expressions® metric. Parrot Analytics is a data science company that empowers media companies, brands and agencies to understand global audience demand for television content. Wielding the world’s largest audience behavior data sets, the company has developed the world’s only global cross-platform, country-specific audience demand measurement system. Parrot Analytics captures an unprecedented spectrum of actual audience behavior including video streaming consumption, social media, blogging platforms, file-sharing and peer-to-peer consumption spanning 100+ countries. This enables media companies, for the very first time, to understand audience demand for content across all content distribution platforms in all markets around the world.